Upholstery Cleaning Stirling. We are a leading upholstery cleaning services provider in Stirling. Call @ 1300 362 217 for more details. My Couch Cleaners is an efficient and top notch upholstery cleaning company in Stirling. We take care of all your upholstery ranging from couches, carpets to sofas and give them a new look as if recently purchased. Upholstery cleaning services in Stirling prolong the life of your upholstery. So, come to My Couch Cleaners and get the best Upholstery Cleaning Stirling. Come today! Upholstery Cleaning Stirling. Look upon us for getting upholstery cleaning services in Stirling. Call us @ 1300 362 217 to get a free quote & same day service. 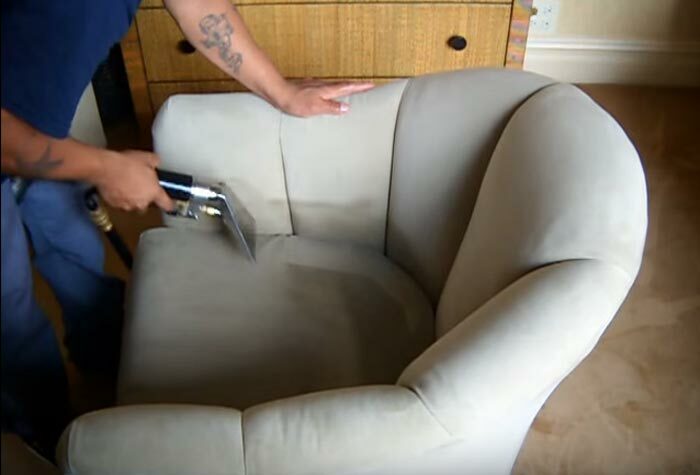 Looking for the best and the reasonably moderate upholstery cleaning solutions in Stirling? If yes, then My Couch Cleaner is your one-stop destination for all your upholstery cleaning needs! We are a leading upholstery cleaning services provider in Stirling and deal with all types of cleaning ranging from sofa cleaning to couch cleaning and leather sofa cleaning. My Couch Cleaner is reliable, quick and easy in your pocket. Additionally, we follow an exclusive couch cleaning process and provide absolute satisfaction. Furthermore, we will restore your old upholstery by making it contamination and pollutant free, and make it as good as new. We all often overlook the upholstery when it comes to cleaning because of the time required to clean it. Our upholstery cleaners inspect the upholstery for its fabric, make and fiber. We vacuum the fabric thoroughly . This process extracts the loose materials from over the fabric. We test the fabric for color fastness. We do this with the help of a small patch test and this does not affect your upholstery. We smoothen the fabric with a fabric conditioner. This way the dirt and grime which is stuck to it loosens up and extraction becomes easier. Suspended soil which becomes loose after the previous step is cleaned and removed. We groom the fabric with various brushes in different directions to distillate the dirt for collection. We have already removed most stains by the time this process arrives. However, if adamant spots and marks still exist, a professional spotting is done to determine the concerned areas. Additionally, we treat these spots with an exclusive spot removal solution. We rinse and infuse the fabric in a professional fabric protective liquid to avoid and seal any further damage. This helps in lengthening the fabric’s life. We use effectual and high- velocity air movers to dry out the fabric. Air- dryers decrease the drying time while at the same time dry the fabrics and zap out every last bit of moisture. Moreover, this service also helps us to serve you faster and better! Behold! This is the last of the lot and the best. Your upholstery looks as good as new and our service also takes off its age from its face, so nobody will ever know how antique your stuff was. My Couch Cleaner believes in the phrase first impression is the last impression and as we have promised we will give you the best. Further, if you are not happy with our services, we will re-do the whole process for you at no additional cost. But even still, if that doesn’t work, we promise to provide money back over the counter. We are licensed, experienced and quick upholstery cleaning experts. Additionally, we are located in central Stirling where connectivity is at its peak at all times. Moreover, delivery is quick and there are no tomorrows! Additionally, our cleaning solutions are bio- friendly. Customer satisfaction is confirmed and secured. Moreover, we provide guaranteed results. Conventional cleaning methods today are out-dated and we live with the times and have catered to your needs accordingly. Call us for our exceptional services with a money back guarantee. Could there be a better Upholstery Cleaning Stirling deal?